In Asia, population growth is creating urban mega-regions with adverse health conditions for residents. 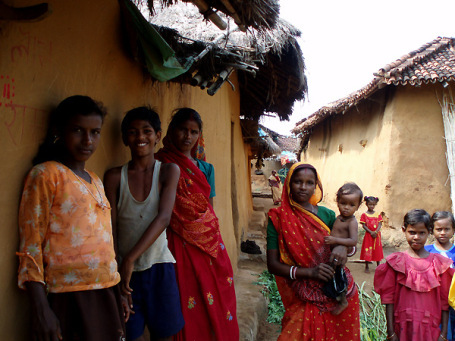 In India, one million babies are born in slums each year. Health conditions and services for such children and their mothers are already marginalized. A Q&A with Jhpiego’s South Asia expert Dr. Nabeel Akram explores the impact of the ever-increasing urbanization of Asia on the health of women and their families who live in these underserved communities. Can you describe the urbanization of Asia? More and more people are moving to cities in Asia, so much so that the number of people living in urban areas on the continent is expected to increase from one and a half billion to two billion by 2016. If we do not include Japan in the mix, Asia is projected to increase from the current 38 percent urban to 50 percent urban by 2025. The urban population growth in Asia is 2.3 compared to 0.14 in Europe. The number of cities with populations of one million or more is likely to increase from 194 to 288 by 2015. Many cities in the region are pushing beyond their limits and are merging into massive new mega-regions, which are linked both physically and economically. Their expansion drives economic growth but also leads to urban sprawl, rising inequalities and urban unrest. In Asia, the biggest mega-regions are at the forefront of the rapid urbanization. They include Hong Kong-Shenzhen-Guangzhou, China—home to about 120 million people. The same trend on an even larger scale is seen in fast-growing “urban corridors” such as Mumbai to Delhi in India. Other major cities in the region with huge urban health challenges include Dhaka, Jakarta and Karachi. Urbanization affects everyone in one way or another. Unfortunately, the poor and marginalized are the groups most affected by urbanization. Women, children and the elderly among the poor bear the brunt of the effects, given that maternal and child health and survival statistics in the urban slums are particularly dismal. Though a large number of people migrate to urban areas with the hope of achieving better economic and health status, their health conditions are similar to or worse than those of rural populations and far worse than urban averages. For example, there is marked childhood under-nutrition in urban slums, maternal mortality rates are similar to those of rural areas and access to health services is extremely limited. In India, nearly one million babies are born every year in the urban slums. What are the health implications of urbanization in Asia? Urban health has remained a low priority in most Asian countries, with greater focus on rural areas in the past many decades. Credible data for urban poor, which could help in planning for better services and living conditions, are lacking. Because the urban poor are often living illegally, many clusters are overlooked by official demographers. As a result, there are numerous invisible and uncounted slums in many of the region’s countries. With poor to no planning for the slums, primary health and nutrition services available to women and their families and other residents are inadequate. The health systems continue to invest in curative services, paying no attention to primary services in the urban areas. There is weak coordination among various stakeholders including governments and NGOs. Very few examples of coordinated, planned slum health programs exist in these areas. The poor end up with limited access to public health services and an inadequate system to refer them from community to primary health facilities. Risk pooling and health insurance mechanisms for the poor are limited, middle and higher income populations use public hospitals disproportionately and hospitals are overused for minor ailments. In addition, there is low awareness about healthy behaviors; weak community organization and social cohesion; lack of trust in public sector services owing to irregularity and low quality; lack of family support to the mother/caregiver; and a pressing need for the mother to return to work after childbirth. Temporary and recent migrants are often denied access to health services and are difficult to track for follow-up care. In urban slums, the prevalence of diarrhea, fever and cough among children is high. Water and sanitation conditions are grim. To make matters worse, alcoholism, substance abuse, gender inequity and poor educational status are widespread. How can health implications of urbanization be addressed? The encouraging news is that there is growing recognition of the issues and increasing interest among governments, donors and NGOs. However, we still have a lot to learn about the issues of urbanization. A comprehensive effort must be undertaken to identify, plot and assess clusters of urban poor. Understanding the local context is the key to effective urban health programs. It is important to increase the ability of institutions in slums to deal with these issues and facilitate linkages with public and private sector providers to ensure sustained care and services. Other agencies and groups within and outside government—such as public works, engineering, labor and education—could play a role in dealing with issues such as water and sanitation in the slums.